Bed bugs are here to stay. With today’s ability to travel the world and the fact that these bugs are the ultimate hitch-hiker, you are only as good as your last tenant, guest or visitor. Using Eradi-Flo bed bug heaters, you can effectively destroy bed bugs simply by using the electrical service available in your rooms. Most travelers are aware of this pest. An infestation affects your immediate revenue and impacts future business as well. A proactive approach keeps you ahead of the infestation and infiltration in hotels, motels, and B & B’s. These lodging facilities are the feeding grounds for bed bugs to feed on human blood. Current studies continue to provide evidence that the use of chemicals is not effective, problematic and dangerous to use. When chemicals are used it can be several days before the space can be utilized again. Out of service days affect your bottom line. The industry average is $130 per day. Heat treatment to kill bed bugs is the most effective, efficient, and economical means to destroy bed bugs quickly, allowing facility professionals to take control of the properties they manage. Heating an infested area to the kill temperature over 121°F (49.4°C) and maintaining an ambient temperature of 135°F (57.2°C) degrees combined with air movement for several hours generates penetrating heat to kill bed bugs and eggs in the harborage. Having your own heaters saves you money in several ways. Your existing housekeeping staff and maintenance crew can easily be trained in how to check for bed bugs and how to properly set up our heaters to conduct a totally effective and discreet eradication. It gives you the ability to treat a room the same day your staff notices the possibility of bed bugs. Heat treatment to destroy bed bugs keeps a room out of service for just a single day instead of several days using chemical services, saving significant revenue and giving you peace of mind. 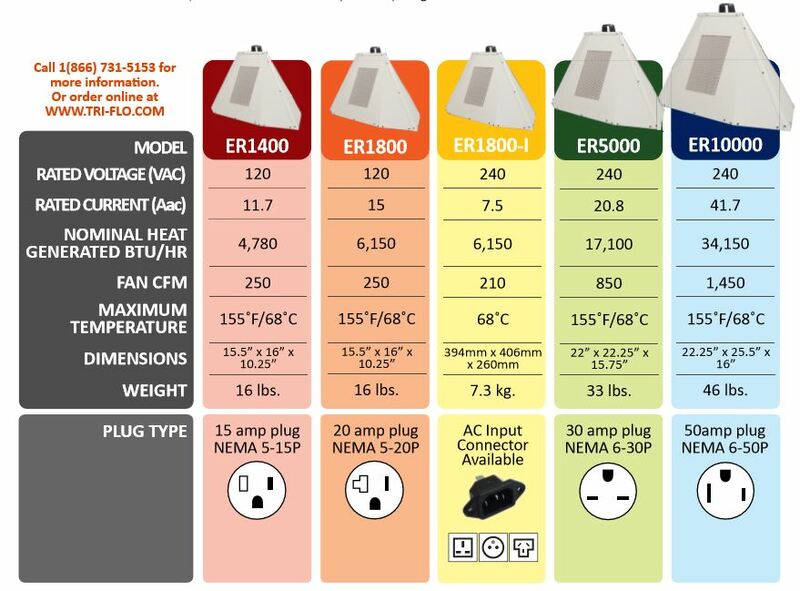 Purchasing Eradi-Flo bed bug heaters is a practical investment that pays for itself in just a few months when compared to using chemical pest control companies which can charge over $800 to eradicate a single room and require it to be taken out of service for days (lost $$$). Oftentimes require recurring repeat applications and extended out of service condition. No one wants to talk about bed bugs, but we all know they are here and can infect any facility from 5 star hotels to dorm rooms. BE PROACTIVE. Conduct and document routine bed bug heat treatments on a regularly scheduled basis. Maintain your records as proof that you strive to keep your facility bed bug free. Having such a program can mediate and help you avoid potential law suits as a result of bed bugs. Since they are common to all modes of travel and lodging you cannot be held liable if you are taking and documenting precautions. Those who do not are most likely to lose lawsuits and get fined. The hospitality and lodging industry is losing hundreds of thousands of dollars every year, all by ignoring the fact that heat treatment to destroy bed bugs is 100% effective, less intrusive and more effective than historical chemical methods. If bed bugs are treated with heat immediately upon discovery it can reduce the chances of infestations expanding exponentially days after the initial discovery. Bed bug heat treatments save thousands of dollars in out of service room losses compared to current chemical applications that require specific timelines for safe re-occupancy of rooms treated with licensed chemicals. Re-occupancy can vary between 2-7 days. Documented new strains of bed bugs are physically resistant to chemicals. University studies confirm thicker cuticle protects other bed bugs from current chemicals. Hospitality Research reports the number of treatments averages 2.6 visits when using chemicals against just 1.3 for applying heat. Industry, University and Professional studies on heat effectiveness and safety versus chemicals. Use of chemicals requires rooms to be taken out of service for days based on the toxicity of pesticides used. Heat treatment to kill bed bugs allows immediate safe use of the rooms after heating. 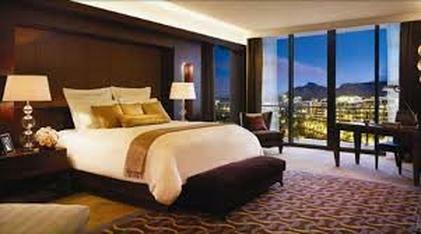 The average daily rate for a hotel room in the US is $129. Thus, lost revenue for heat treatment averages $129. Chemical applications vary from 2 days to 7 days or $258 to $903. ​ Common sense and logic would dictate the consideration and use of heat in being the preferred method of solving your bed bug issues quickly, efficiently and economically. 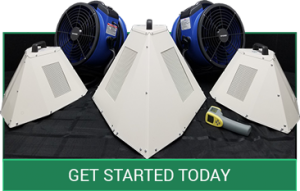 Additionally, owning your own heat treatment package reduces your pest control costs, saves lost revenue from chemical treatments, gives you the control and immediate ability to handle the job same day and is a green form of pest control. 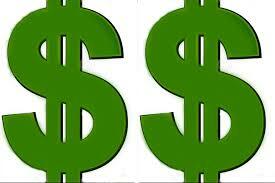 It’s all about the money…Keep more of it in your business! Eradi-Flo heaters are safe, effective, environmentally friendly, and ETL certified. Using airflow technology our heaters deliver the heated airflow necessary to destroy bed bugs.